Jesus is getting ready to ascend into heaven. After three years, a death, a resurrection, and forty days of appearances he has raised up a tiny but fully discipled band. Now, in Matthew 28:16-20 Jesus is dispatching them to disciple the entire world. So what are his final words to them? They’re surprisingly unsentimental. He doesn’t talk about faithfulness or perseverance or belief. Instead, he speaks about discipleship. “Obey everything I have commanded you” means discipleship must be comprehensive. Most people ignore this line with a sigh and saying to themselves, “See, it’s impossible.” We have an enlightenment definition of comprehensive knowledge but I think both Jesus and the disciples thought this was entirely possible, maybe in a 1–2 year process. Paul says to the Ephesian elders after 2 years, “I didn’t shrink from declaring all that God wants you to know” (Acts 20:27). So we move on to part 27 in our 49 part series through the book of Luke not considering that we are actually responsible to train each disciple in our care to obey “everything.” This requires an aggressive, comprehensive, systematic plan for discipleship. And a big part of that model is that we can only pour into others what we are fully aware of having received personally from Christ. Thus, we are not teaching only information. We are, instead, pouring out a lifetime of experience—or, more appropriately, personal gifts received from Christ. We can disciple a student to share bread because Christ has shared his bread with us. We can disciple a student to heal and comfort because we have personally experienced the healing and comfort of Christ. How would you answer that question? What is your strategy for teaching others to receive the same grace God poured into you? 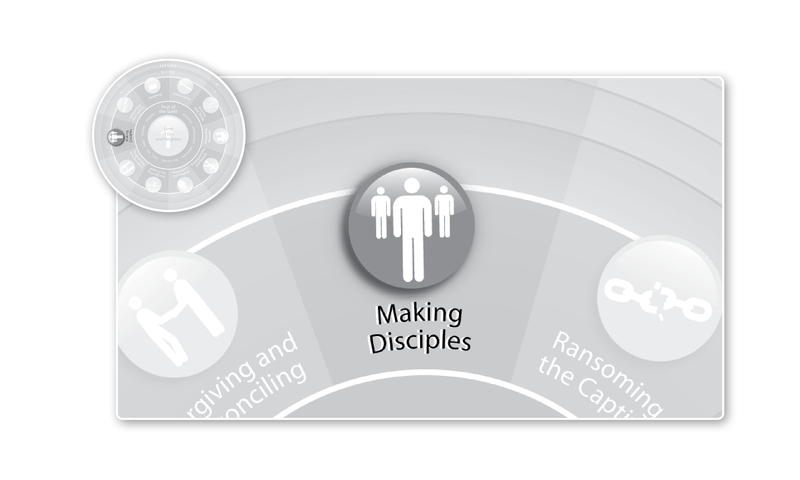 This entry was posted in Uncategorized and tagged Christianity, Discipleship, Making Disciples. Bookmark the permalink.